If you want to conduct boating activity or hold an on-water event, you may need an exemption or a modification from a rule to do so. This page explains what boating activity exemptions (BAE) and exclusion zones are; when they are required; and how to apply for them. It also lists temporary rule changes and exclusion zones on unmanaged waterways and waterways managed by Maritime Safety Victoria. Read about on-water event managers' safety duties and code of practice. Marine safety legislation and rules are designed to provide for a safe operating environment for a wide range of general boating and on-water activities. Organised boating activities and on-water events range from sport, to entertainment and even cultural gatherings. They can be commercial ventures, club-based competition or provide a not-for-profit experience for the community. They may be high profile attracting media attention, have a national or international focus or be local volunteer driven. The organisers may provide their own event team members, or outsource some functions to contractors. Each activity or on-water event is unique and poses its own specific safety risks. What is a boating activity exemption (BAE)? 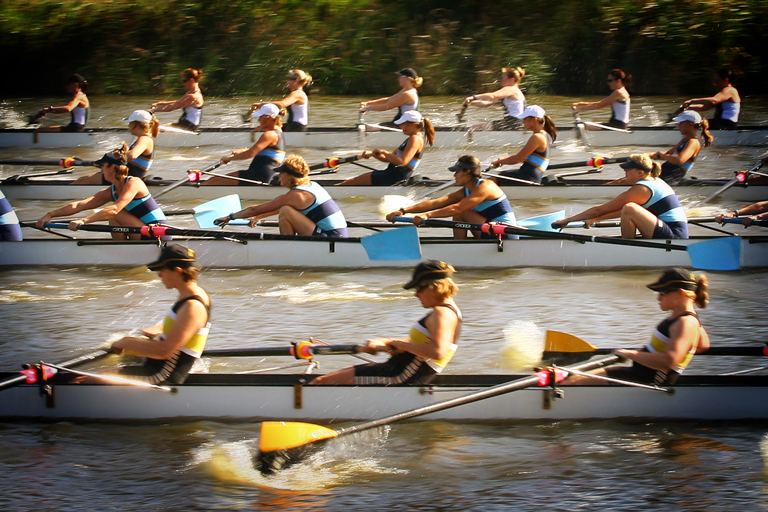 A boating activity exemption (BAE), granted under section 203 of the Marine Safety Act 2010, allows a person or event organiser to conduct organised boating activity or an on-water event or series of events on State waters that would, otherwise, be in contravention of a relevant law, rule or regulation. When is a BAE required? 'Vessels operating in close proximity to on-water infrastructure' requires an exemption to exceed 5 knots within 50 metres of a fixed or floating structure. An event held in an area that has a speed or other rule restriction may require an exemption from the specific waterway rule as detailed in the VOZR. The waterway manager may grant 'exclusive use' of an area of waterway to an applicant by establishing an exclusion zone under section 208 of the MSA. An exclusion zone is used to prohibit persons, vessels and all other activities from a specific area of water to create the exclusive area where an activity/event can take place. Exclusion zones can only be created in conjunction with an exemption. An exclusion zone is a form of control measure that can help keep other persons and vessels away from a higher risk activity/event, and also help control an activity/event by keeping the participants in the specified area for the duration of an event(s). They are typically used for high risk or high speed events. If you wish to apply for a temporary waterway rule change, exemption or an exclusion zone for an on-water event, boating activity or works, you must apply to the relevant waterway manager, port or local port management body for waters under their control or to Maritime Safety Victoria if there is no waterway manager. In order for waterway managers to meet the requirements, including assessment, notification to TSV, government gazette and newspaper notices, we recommend that you lodge your application a minimum of three weeks - and ideally six weeks - before an event. Any request for an exemption from or modification to legislation or rules requires an assessment of risk related to the proposed activity (and the exemption requested), and the control measure(s) proposed to mitigate that risk(s) due to the exemption or modification. Any additional information requested by the waterway manger is submitted within the requested timeframe. Current declarations and notices relating to temporary rule changes, exemptions and/or waterway closures for boating activity, special events or works on, over or under waters, for waterways where we are the waterway manager or where no waterway manager is appointed. Victorian paddlers who wish to fit a low-powered electric motor to their craft, or have already done so, will be exempt from vessel registration and marine licensing requirements during a trial from 1 January 2018. Personal watercraft (PWC) operators are exempt from certain rules during the surfing event, subject to conditions. Waters between Anglesea and Torquay, 3 February 2019 (back-up date 2 February 2019). An exemption applies 25 to 28 January 2019. Waters of Loutit Bay, Lorne, 12 January 2019 (back up date 16 February 2019). Waters of Bass Strait, Torquay, 12-16 December 2018. Coastal waters off Point Danger, Torquay, 7-10 December 2018. Event participants are exempt from certain speed and distance rules, 8am-1.30pm on 3 November 2018 (back up date 4 November 2018). The waters of Lake Ouyen are prohibited to all persons and vessels not associated with the Fireworks Sunraysia display. This exclusion zone takes effect between 10am - 10pm on Friday 5 October 2018. The exemptions apply for one day between 1 June to 31 August 2018 between the hours of 6.00 am and 6.00 pm provided that the stated safety controls and undertakings detailed in the Application for Boating Activity Exemptions and associated documents are adhered to. Confirmation of the date of the event will be posted on the Surfing Victoria website.